Eduard Ignatievich Tsiolkovsky. Polish forester and father of Russian rocket pioneer Konstantin Tsiolkovsky. Eduard's son Konstantin (the fifth of eighteen children) laid many of the foundations of modern aerodynamics. He is best known for his visionary work and predictions concerning space travel, and he is considered one of the founding figures of rocketry and astronautics. 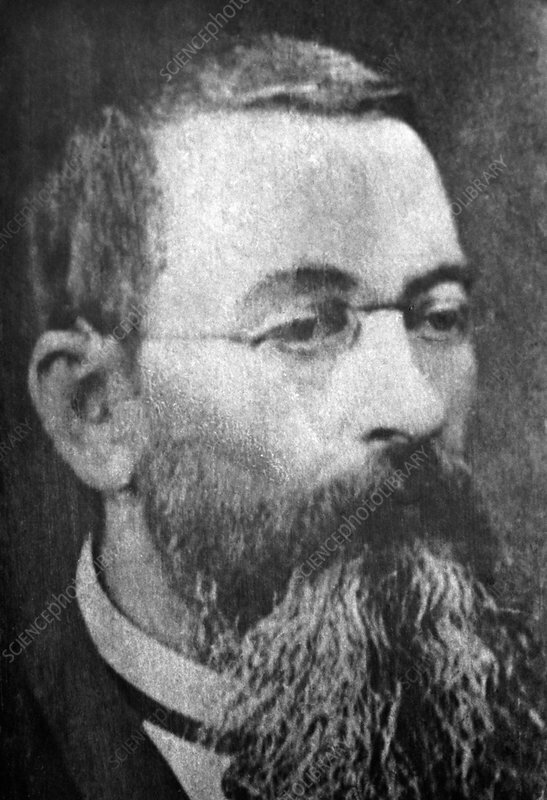 Eduard father immigrated to Russia in 1849, settling in Izhevskoe, Ryazan Province, south of Moscow, where Konstantin was born. Eduard retired in 1878. Photographed in Kaluga, Russia.